NEW! 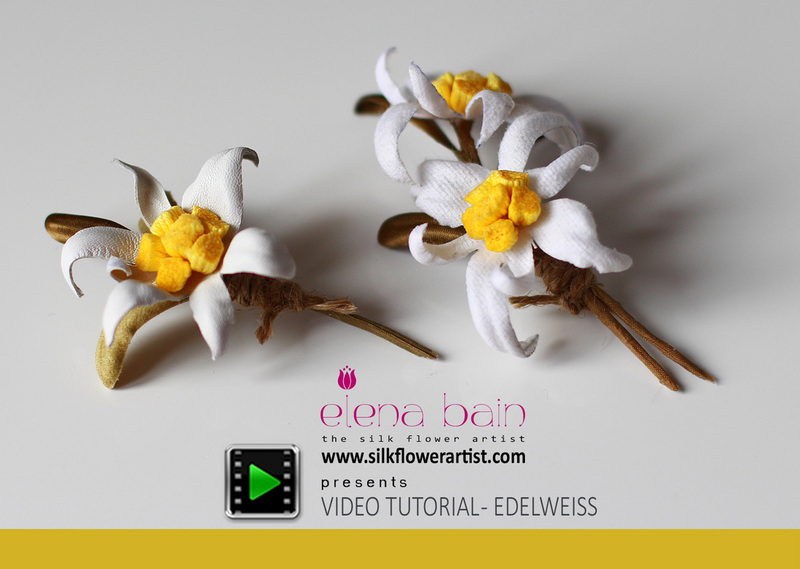 FREE video tutorial "Edelweiss" Please "like" and comment. Thank you. "How to make juicy green color"
There are different ways or recipes to stiffen fabric. I have lots of emails from girls all over the World asking about my method. This video will show you the technique I use to prepare fabric. You will also find my recipe for stiffening silk. Please "like" and comment. Thank you. FREE video tutorial "Coloring leaves"
In this tutorial you will learn practical information about coloring leaves in Somebana technique, Japanese silk flower art. Comments are welcome! FREE video tutorial "Flower bud". Enjoy!